Have you ever wondered where Ukunda is and how much it costs to get to the small town? The Answer is here! First Lets get to know what Ukunda is. Ukunda is a coastal town in the southern outskirts of Mombasa. Ukunda is located in Kwale County which is majorly inhabited by the Mijikenda Community. Ukuda is one of the major tourist attraction due to the cool Diani Beach. 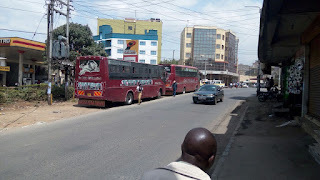 To get to Ukunda from Nairobi City, you can aboard the only two Bus Companies that get to Ukunda and that is Simba Coach, one among the oldest Bus Company in Kenya and Chania Shuttle. The common charge to Ukunda is a bus fare charge of Ksh.1000 and Ksh.1200 during the peek seasons. It takes approximately 8 - 9 hours of bus travel to Ukunda from Nairobi. For more information on your travel to Ukunda by bus, contact/whatsapp us on +254717030704 and get connected to the next bus to Ukunda Town and enjoy the beauty of Ukunda. Bus Kenya, We Will Take You There..